Paris is a city of many things, but beyond the world-famous museums, the iconic cafes and the romance that shrouds its mighty boulevards, the French capital boasts a wonderful variety of parks and gardens, where you can unwind and soak up the charming Parisian atmosphere. From vast expanses of green sprinkled with lakes, monuments and zoos to exquisite gardens landscaped by renowned architects, there’s certainly a playground for each kind of visitor in The City of Lights. 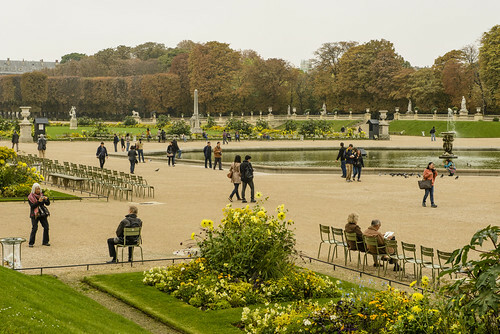 A favorite among Baudelaire, Hugo, Balzac or Hemingway, Jardin du Luxembourg remains one of the finest and most popular gardens in Paris. It covers 25 hectares of greenery filled with spectacular flower beds, legendary fountains, elegant cafes and over a hundred sculptures and statues depicting artists such as Stendhal, Chopin or Montesquieu. It is a wonderful place to stroll, play chess, admire the outstanding botanical arrangements displayed in the Orangerie and indulge in all sorts of outdoor activities. Home to the impressive Chateau de Vincennes, the fascinating Palais de la Porte Dorée, including the Tropical Aquarium and a series of stunning attractions, Le Bois de Vincennes is one of the largest and most beautiful parks in Paris. Situated on the city’s eastern edge, this former royal forest attracts visitors with its gorgeous lakes, charming English-style gardens, picturesque elevated park (Promenade Plantee) and unparalleled entertaining opportunities. The park is an excellent place to enjoy a picnic, take a bike ride, rent a boat or attend a concert in the summer. Due to its central location between the Louvre and Paris’ largest square – Place de la Concorde, Jardin des Tuileries is one of the most beloved and visited Parisian parks. A charming retreat in the heart of Paris and an outdoor museum of sculptures, the spectacular park has been included in the prestigious World Heritage List of UNESCO. Besides the usual outdoor activities, the park offers two wonderful museums: the Galerie Nationale de Jeu de Paume and the Musee de l’Orangerie, where you can admire Monet’s exquisite Water Lilies murals and some remarkable paintings by Picasso, Renoir or Modigliani. A true gem tucked away in the 19th arrondissement, the magical Parc des Buttes-Chaumont is one of the best-kept secrets of Paris. The meandering paths, the quaint bridges, the spectacular waterfalls and the utterly romantic English and Chinese gardens comprising the park lie on a rocky hill, providing beautiful views over the city. Highlights include the Sybil temple and the Guignol theatres. Last but not least, Parc Monceau is a delightful place to escape the hustle and bustle of Paris, to wander around some of the city’s finest flower gardens and to admire the wonderful follies that bring together many beautiful parts of this world. From Roman ruins and Egyptian pyramids to Dutch windmills and Middle Age structures, the park displays a magnificent collection of architectural styles, inviting visitors to take a lovely journey back in time. 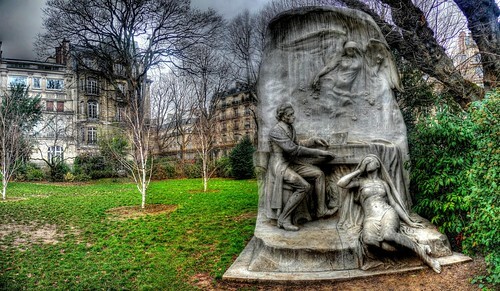 Parc Monceau is located in the 8th arrondissement and can be visited anytime between sunrise and sunset. 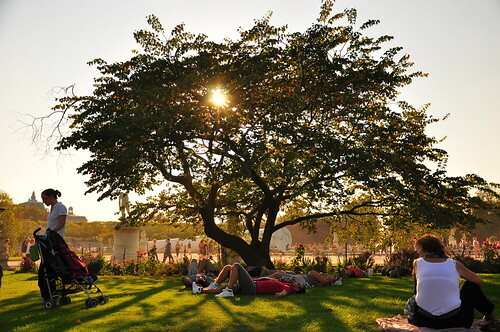 What’s your favorite park in Paris? Paris is a beautiful city with amazing weather. There are a lot of parks in Paris but these one seems are delight for the eyes. No matter how many times you visit, you still find it more attractive. 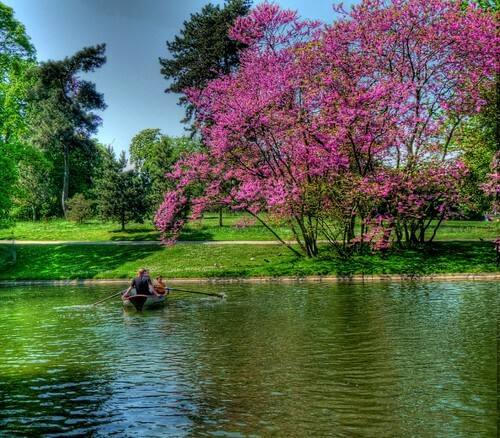 My favourite one is Le Bois de Vincennes, and love the picture as well! Beautiful Pictures. I really like the Luxembourg Gardens. Stunning! Can’t wait to visit one of these soon! Beautiful parks in a beautiful city.